This week was Eid Al-Adha, the holiest holiday of the Islamic Calendar. It represents the story of Ibrahim (Abraham), in which Allah requests of Ibrahim the sacrifice of his son. Ibrahim agrees, and in honor of his obedience and loyalty, God replaces the son with a lamb before the sacrifice. 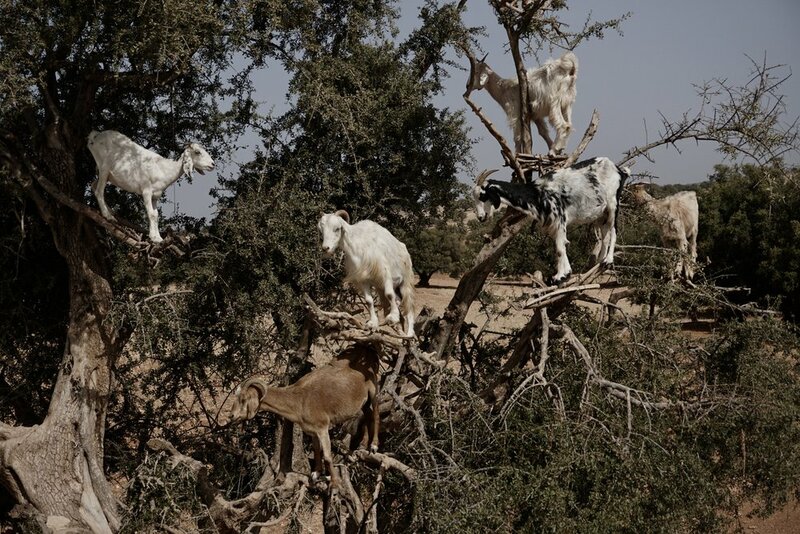 Each family that can afford to sacrifices their own animal during the holiday, usually a sheep in rural Morocco, sometimes a goat. The sacrifice was difficult for me to watch because I don’t like blood, but I wanted to be a part of this special day with my host family. They are so proud and excited to connect with Allah. Observing the boys watching their fathers sacrifice and cut the sheep and the daughters and mothers prepare it for cooking, I felt such a sense of heritage and humanity. I could relate to delving into and honoring traditions and being excited to grow up to take responsibility of them. I imagined my host dad and host mom learning their techniques from their parents. It made me appreciate the customs of my own family, some of which I’ve always cherished and others that I may have taken for granted before Peace Corps. I can’t wait to reunite with my family this holiday season with more respect and appreciation for our traditions. Though I don’t necessarily love eating the same food for three or four days, the sheep was really good. There were kabobs grilled over a fire pit, seasoned and cooked to perfection. I ate grilled sheep lung, liver, heart, intestines, and muscle of which I’m not sure of the origin. My host family also boiled the armpit/rib area of the sheep with onions and put it on a plate. Skin, fat, and all. No sauce or seasoning except for mini bowls of salt and cumin on the table to dip your fingers and meat into. The meat is eaten with the hands and the typical Moroccan bread, of course. Everyone’s hands are eventually covered in sheep juice and fat but still dipping into the seasoning to sprinkle salt or cumin onto their next bite. This was a beautiful last week at my final site to share with my host family. They actually all just moved yesterday, with the exception of my host dad, to Meknes. I would say it’s really far, but everything is far, and they could be further. It’s about seven to eight hours away. Previously, one of their daughters was in college there, and one was in high school in another city, Oujda. Now both girls and their two younger brothers, nine and eleven, will all move to Meknes with their mother for access to better schools. My host dad will stay here to work. I was pretty disappointed to see them go. I do feel like a part of their family and cannot thank them enough for their love, support, empathy, and company. Watching my host mom say goodbye to her sister and mother was even more saddening. I realize I’m not the one losing the most. It might seem like a lot because they’re some of the only people I have here, but this is a real family that has been together for decades. Especially in this culture based on familial ties, the feeling of separation must weigh heavily on their hearts. This sacrifice is another symbol of discipline and love, also strong traditions in Moroccan culture, that will result in bountiful opportunities, inshallah.